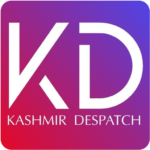 Srinagar March 09 : Kashmir Traders and Manufacturers Federation(KTMF) has asked shopkeepers of Kashmir Valley to remain open this Sunday in wake of opening of educational institutions this Monday. “Traders in the Valley will keep their shops and business establishments open this Sunday as school goers need to purchase various things from the market”, spokesman KTMF said. Traditionally markets remain shut on Sundays, however owing to couple of strikes this week we have decided to keep markets open tomorrow, he said.